If you have the ultimate luxury kitchen then you may well a suitable tap to go with. This curved, long necked tap is perfect for rinsing food and filling containers etc without getting in the way. 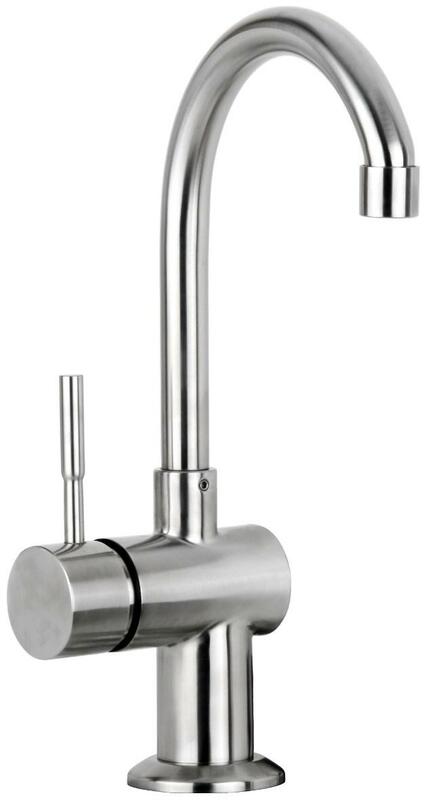 These are sold as part of our outdoor range of taps but increasingly we find people are looking for a high specification tap to fit in with a luxury kitchen. With the 304 "outdoor" grade, you can be sure you have a higher grade stainless steel than the conventional indoor tap and shower brands. The higher grade steel means they not only look stunning but will stand up over time to any steam or hot conditions found in a busy kitchen.